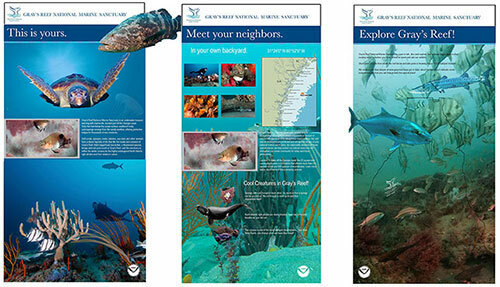 Gray's Reef National Marine Sanctuary is Georgia's amazing underwater park. The natural live-bottom reef is teeming with marine life and is part of the endangered North Atlantic right whale's calving ground. Loggerhead turtles rest at the reef, where scientists have identified more than 200 fish species. 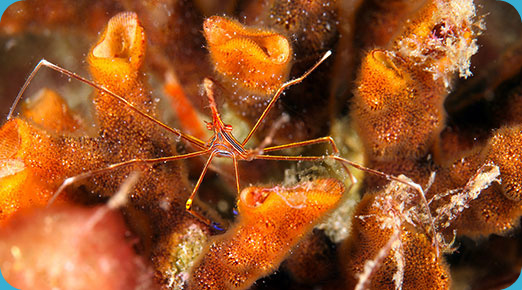 Gray's Reef was designated as a sanctuary on January 16, 1981, and is the only protected natural reef area on the continental shelf off the Georgia coast. 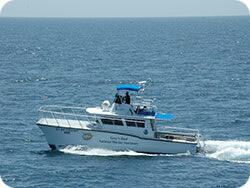 The 22 square miles of Gray's Reef protects an area that is recognized nationally and internationally. 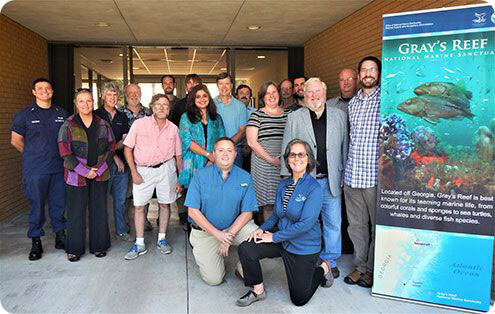 The mission of Gray's Reef National Marine Sanctuary is to identify, protect, conserve, and enhance the natural and cultural resources, values and qualities of the sanctuary for current and future generations. 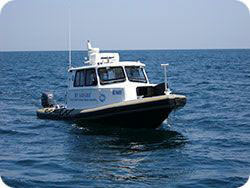 Marine Operations Coordinator with NOAA/Gray's Reef National Marine Sanctuary. If you are interested, find out more about the position here. Tuesday, April 30, 2019; 10:00 am - 4:15 pm. Be aware, and be prepared to slow down or steer clear. Boat strikes are a leading cause of sea turtle injuries and mortalities.